Almost everyone has worked with or for a toxic leader. Whether they're manipulators, poor communicators or irritable tyrants, ineffective leaders are everywhere in today's workforce. But, what is being done to fix this global epidemic? 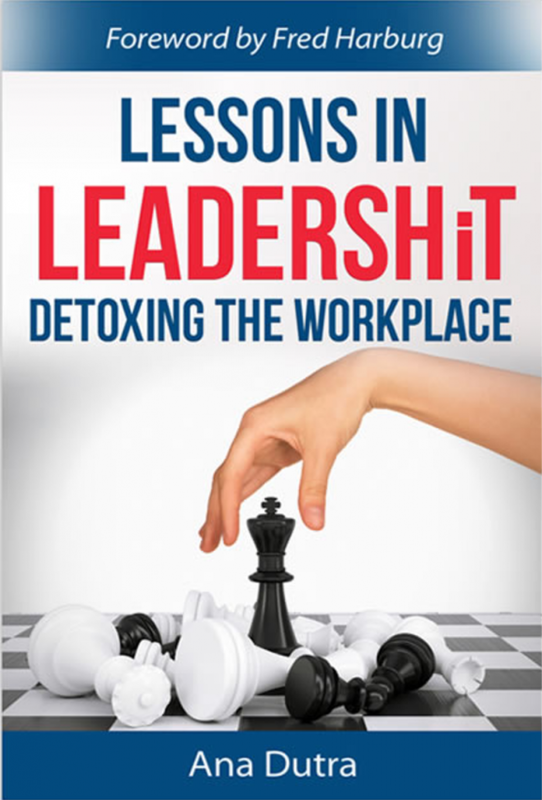 Lessons in Leadershit: Detoxing the Workplace, a new book by Ana Dutra, President & CEO of the Executives' Club of Chicago, shines a light on the various types of offenders when it comes to leadershit behaviors, and also identifies measures to correct them. While most leadership resources and references are typically based on best practices, Leadershit takes the opposite approach and examines worst practices and how to address poor leadership behaviors. It is a go-to leadership guide for multiple audiences. The book, which reached the No. 2 ranking on the Amazon Best Sellers List and the International Best Sellers list, currently has a 5-star rating and is available for $9.99 on Amazon.